Panapasa knows that it will be a tough competition in the shooting circle having experienced shooters like Taraima Mitchell, Maria Lutua Rusivakula, Unaisi Rauluni and Nina Cirikisuva. Fijian Pearls squad member, Lydia Panapasa. 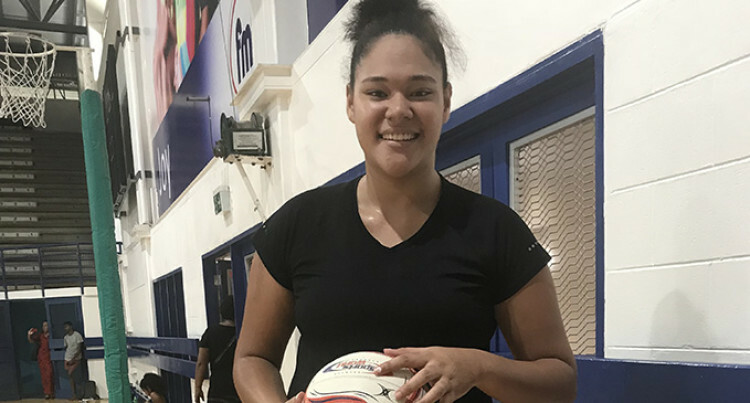 Lydia Panapasa aims to perfect her shooting percentage as she aims for a spot in the final 12-member team for the Netball World Cup in England on July 12-21. The Juju, Rotuma native feels proud to be part of the 25 member squad and knows the challenge will be tough. “The standard is high, it will be hard but I’m having a go and hopefully make my family proud. “It will be a tough competition in the shooting circle having the experienced shooters like Taraima Mitchell, Maria Lutua Rusivakula, Unaisi Rauluni, Nina Cirikisuva,” Panapasa said. Panapasa hopes to improve on her fitness and polished on her shooting skills. Her mum Salote Naulivou Panapasa, who hails from Tubou in Lakeba, Lau, represented Fiji in athletics and basketball. Her uncle was the legendary Nadroga and Flying Fijians lock forward Ilisoni Taoba and her cousins are Nadroga Rugby president Jiko Matawalu and former Flying Fijians skipper Akapusi Qera. Her aunt Laijipa Naulivou a formidable national hockey player and White Fire netball player and was also one of those players who were pioneers of the Marist Seahawks women’s rugby club then St John’s Marist women’s 7s team. “I want to make a name for myself and follow my Mum, my aunt and cousin’s footsteps,” she said. Fijian PearlsLydia PanapasaNetball World CupSt John’s Marist women’s 7s team.